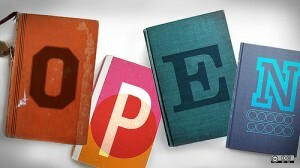 OpenLearn: free learning resources and courses from The Open University in the United Kingdom. Part of Rice University, Connexions is a repository of free learning materials organized and easily exported as textbooks. Content is modularized and can be mixed and combined to make custom resources. Funded by Institute for the Study of Knowledge Management in Education (ISKME) An independent non-profit institute dedicated to helping educators share information since 2007. The OER Commons search engine allows you to search multiple repositories at once and gather resources from multiple institutions.